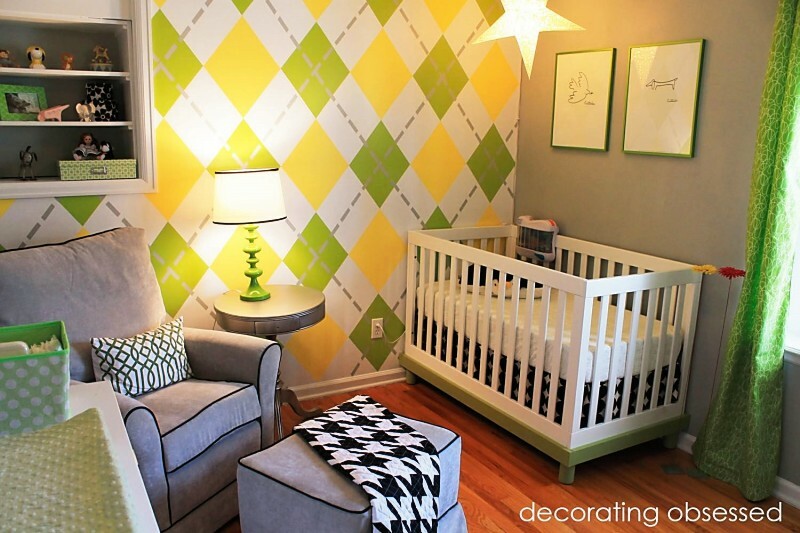 Fabulous Wall Patterns (Plaid, Argyle, Chevron & More): No Stencil Required! 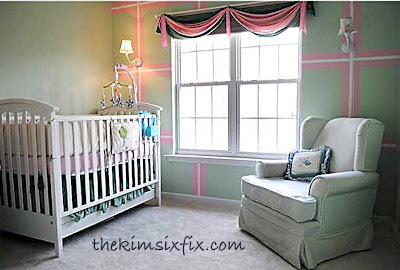 I have been surfing around Pinterest tying to get ideas for the baby's nursery and I stumbled upon this pin which inspired me to do a whole post on painted wall patterns. 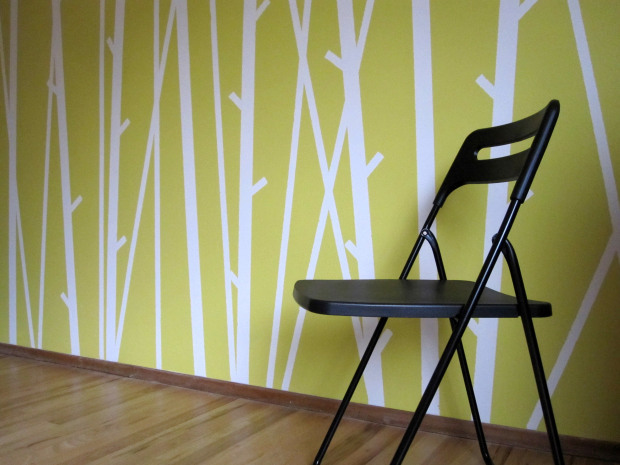 The beautiful thing about painting patterns (vs. something like wallpaper) is how easy it is to reverse it. You can have a huge impact, for next to no money, and it isn't permanent. Sidenote: I know stenciling walls is also really hot right now, but I am not including any stencils in this post, only walls which were painted exclusively using painters tape. 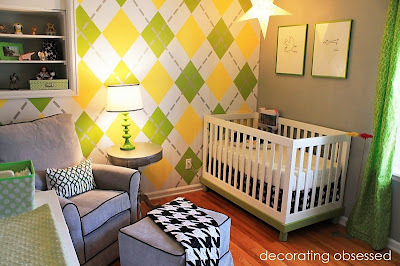 Ashley at Decorating Obsessed has a fabulous mod nursery, and I don't know why, but I just find myself fixated on this argyle wall. FIXATED. I can't stop thinking about it. (Yeah, I gotta get out more often I suppose!) Here is how she did it. 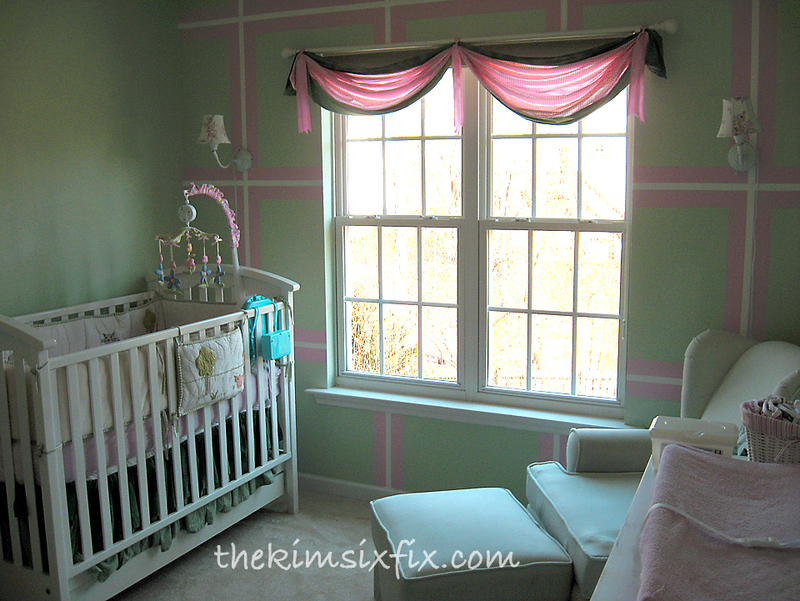 Nothing but painters tape! 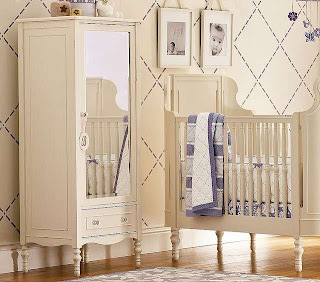 Pottery Barn featured a very similar graphic in one of their nursery photos. Squeeeee! It is so darling! For a while the wall was all green but it was so boring that I decided to spruce it up. 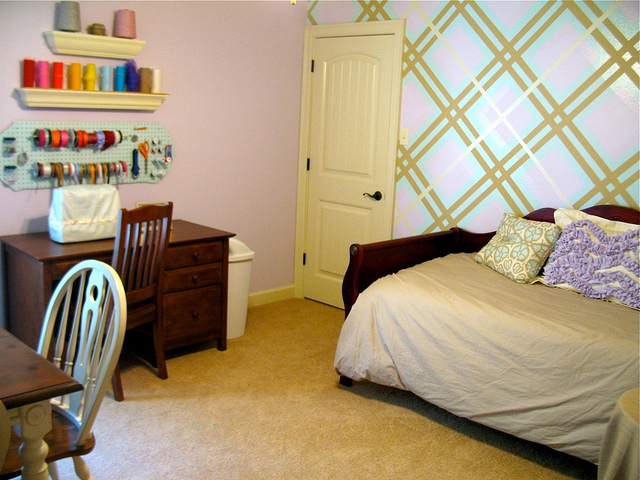 I taped off some large squares and filled in with pink and white to give it a plaid effect. I ADORE how it came out. I almost forgot how much I liked it until I looked back at the old photos. Here is another variation of a plaid? In Carol's Craft room. I love the double lines, an how it is set on point. 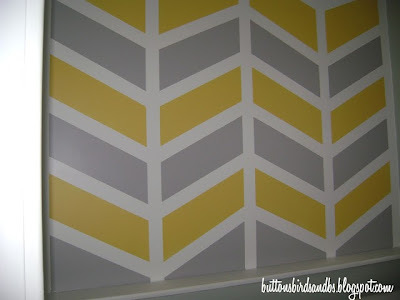 Of course we can't forget chevrons! 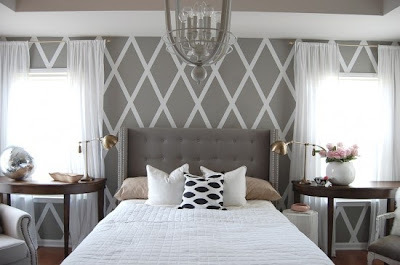 They are so popular that Kathy has an entire Pinterest board (as of today 56 pins worth) of chevron walls! This is my personal fave (a little more non-traditional, almost craftsman-style). If you love it, she has a great tutorial on exactly how she did it. 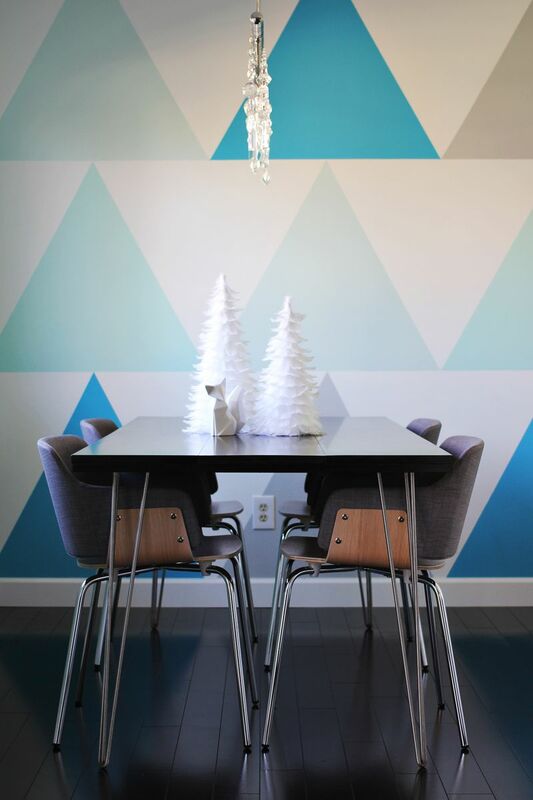 Here is a gorgeous triangle covered wall. I love the slight variation in the shades of blue. Sometimes, the patterns are so intricate it looks like it could be a stencil. But it isn't. This is solely done with painter's tape. If these are too geometric, look at this wall by Noelle, also done entirely with painter's tape. It is has a completely organic and natural feeling. 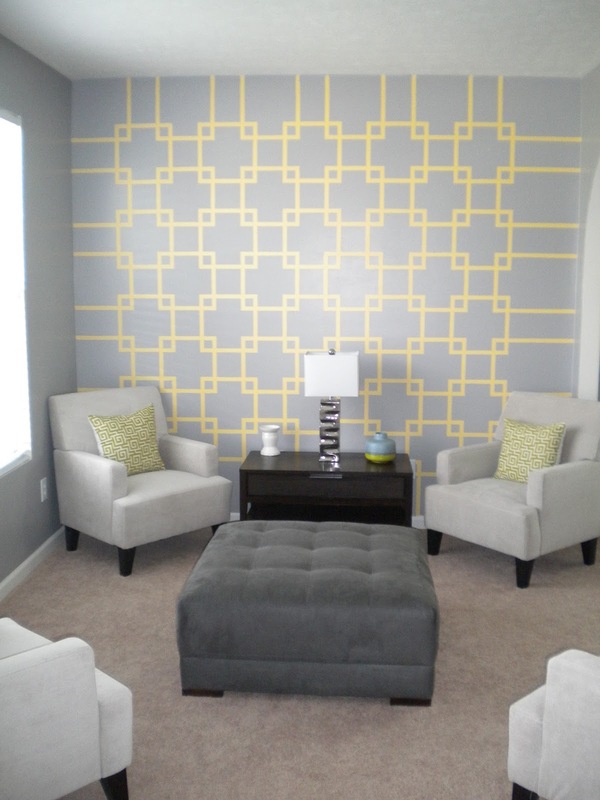 And have you seen the nester's wall stripes? She didn't even paint them! They are DUCT TAPE!! Faaaaab-u-lous! My biggest problem is going to be figuring out which one I want to use! I love all these rooms - but I love your green and pink nursery the most. 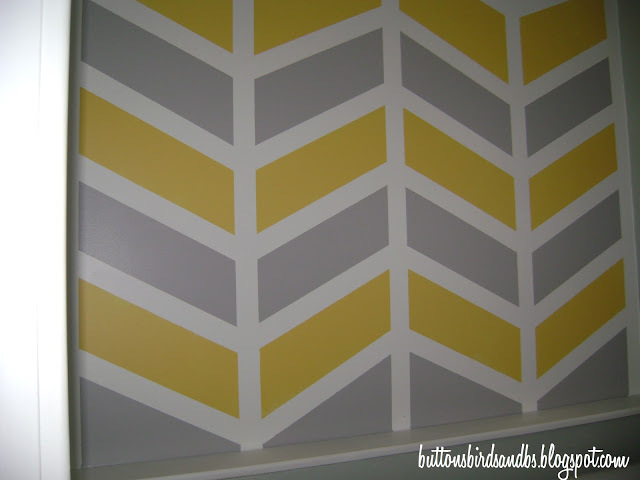 On the blog, His and Hers they are pregnant with their first baby and did a navy and white chevron wall in the nursery using just painters tape, too. On my Pinterest board Decorating Loves I have pinned a technique similiar to one you mentioned where karapaslaydesigns.blogspot.com used only foil tape to create a design on the wall. I can't wait to see what you design for your baby's nursery. I know it will be just beautiful! Love all of these, especially the argyle one! Wow that is dedication with painters tape. Love the one that looks like tree branches at the end.